The buzzy, Sundance-selected Whose Streets? tells the story of the revolution in real time. Everyone in Ferguson, Missouri, remembers where they were on August 9th, 2014. Running errands. Working at a furniture store. Kayaking. 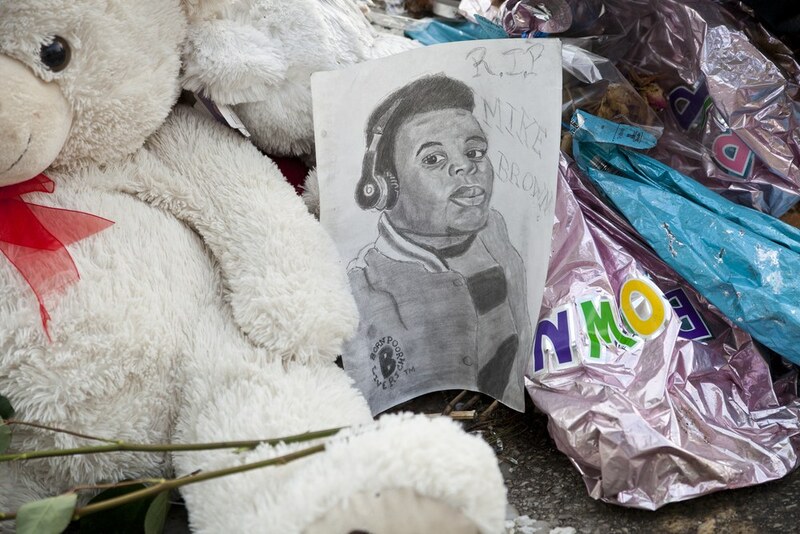 It was the day Michael Brown, an unarmed black teenager, died at the hands of white police officer Darren Wilson. That hot summer day is also where Whose Streets? begins. 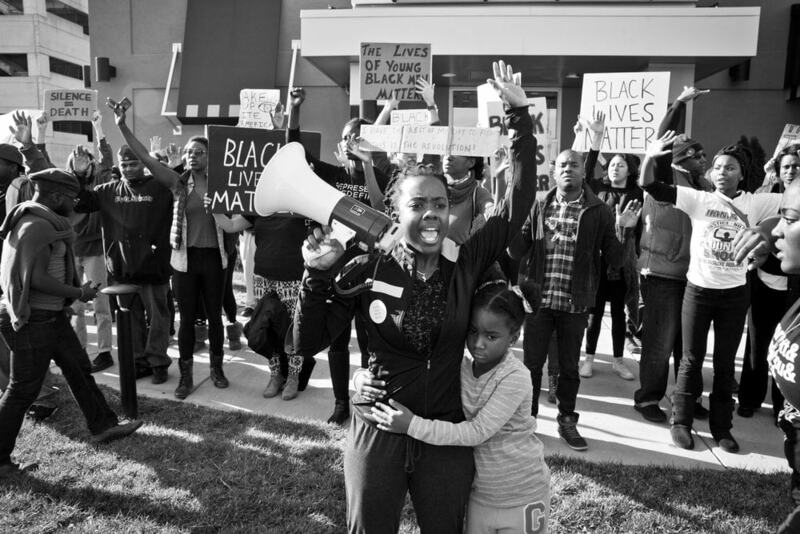 Culled from roughly 400 hours of footage from Instagram, Vine, and handheld cameras, Sabaah Folayan and Damon Davis’s non-fiction film follows several Ferguson activists at the front lines of the uprising following Brown’s death. Folayan and Davis stitch together talking-head interviews, news clips, archival footage, and the quotidian moments of real people who were trampled-on, arrested, ignored, and, ultimately triumphant in their efforts to let the world know that their fight wasn't over. The documentary also uses on-screen tweets from people who were on the ground in Ferguson, like hip-hop artist and activist Tef Poe, to advance the story. It’s a testament to how quickly news moves in our world, and evidence of just how pivotal Twitter was during the protests; tweets provided specific meeting points, as well as updates regarding street closures and standoffs with the police. In the documentary, a host of activists pull back the curtain on a lot of things the media didn’t see, or didn’t care to show, like how the militarized forces that had been deployed on Ferguson’s streets were using rubber bullets, tear gas, smoke canisters, and other counter-strike weapons; “chemical warfare,” as Dhoruba, a resident interviewed for the film who gathers the remnants of these weapons for research, puts it. Whose Streets? gives viewers the visceral experience of being there themselves; we don’t just see tear gas billowing menacingly into the atmosphere, or bullets crackling nearby; the camera literally shakes as whoever is holding it runs for their life. The truth has always been a hard-won pursuit. But in this era of fake news and so-called “alternative facts,” there’s a heightened need for cinema vérité like Whose Streets?. It’s a bit of a cosmic coincidence that the film screened at the Sundance Film Festival on Inauguration Day itself. As a misogynist, racist arbiter of falsehoods took a solemn oath on the other side of the country, a captive audience held tight to these tales of resistance. We cried together when the camera zooms in on Lezley McSpadden, Michael Brown’s mother, after she learns that Darren Wilson would not be indicted for killing her son, and we scoffed in unison when Wilson, his only time onscreen, says “you can’t perform the duties of a police office and be racist” during a TV interview. Technically, the documentary stands at 103 minutes. But in reality, Whose Streets? never really ended. Whose Streets? has an aesthetic beauty, too, which comes through strongest when the filmmakers capture private moments, like when Ferguson’s residents are at home playing with their children, or when they comfort each other with a hug on the front lines. At one point, the camera zooms in on the face of a black police officer standing in the streets; she is bound by profession to hold back protesters, but she's personally unable to stop blinking tears.